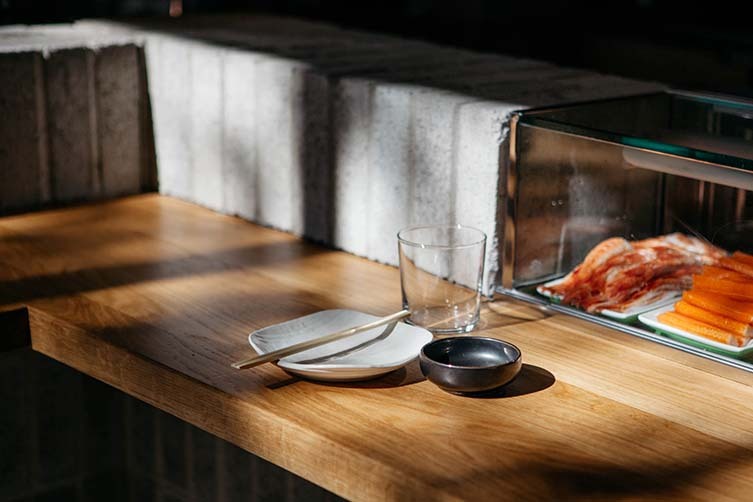 The good people behind slick Canadian sushi chain Ryú take the importance of serving good and nutritious food seriously—ensuring their fish and seafood is 100% sustainable and origin verified, their chicken and pork raised naturally, food waste composted wherever possible, and packaging made from 100% recyclable or compostable materials. 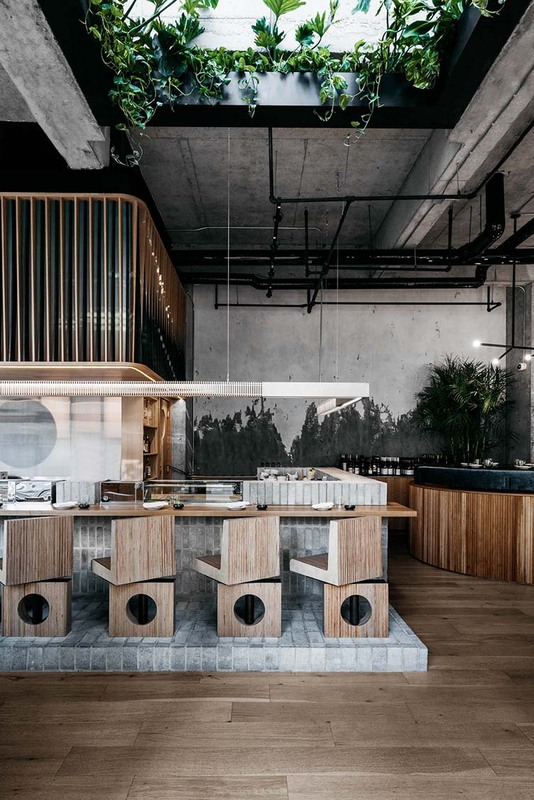 By preparing healthy, flavourful fare, the brand has grown a loyal fanbase all vying to get their mouths around a selection of nigiri, sashimi, maki, poke, alongside specials including uni and wagyu when available. 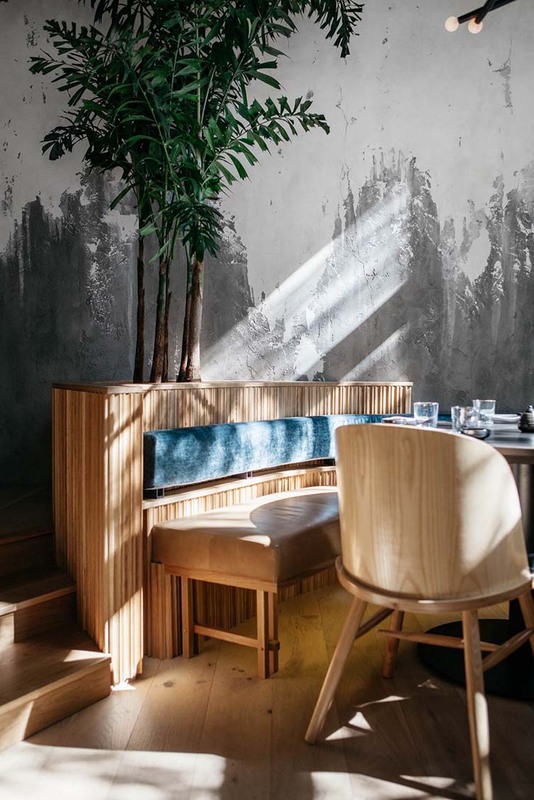 Ryú‘s latest outpost, in Montreal’s Westmount neighbourhood, is a space as well considered as what comes out of their kitchens; a fitting space from which to enjoy the food that has won them their loyal following. 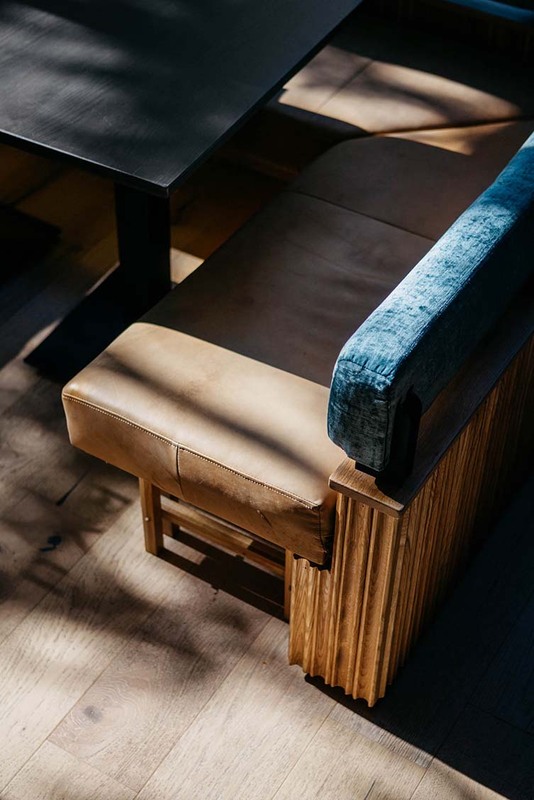 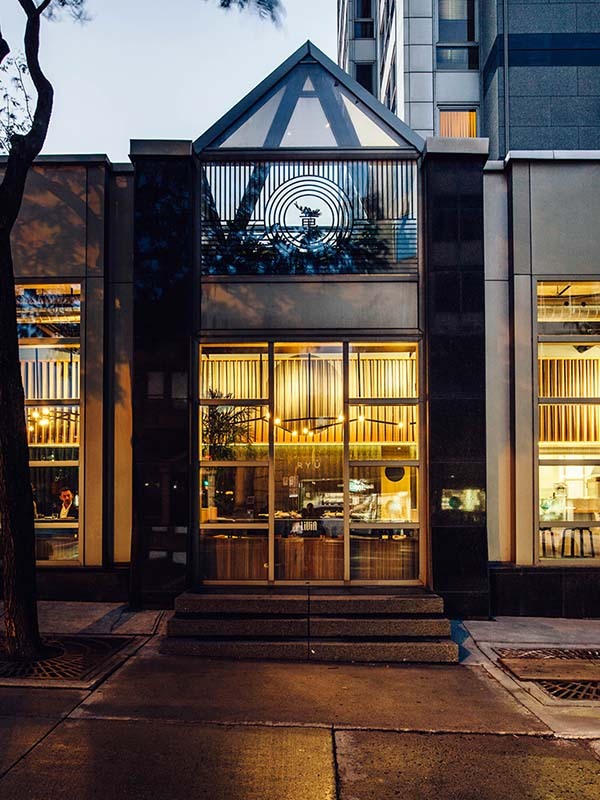 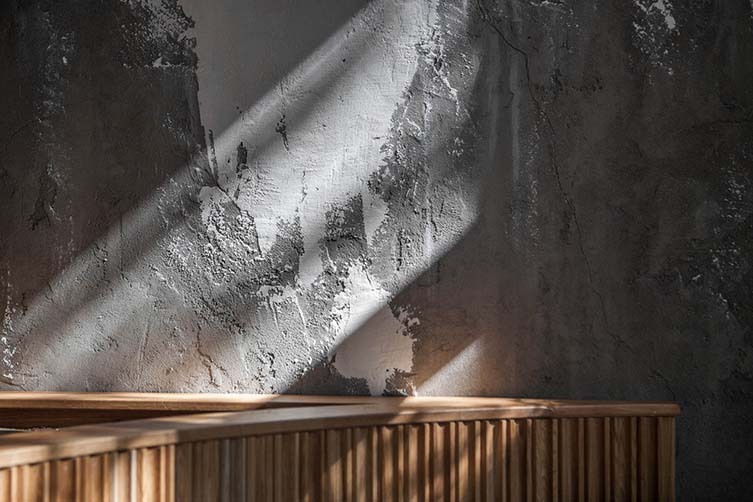 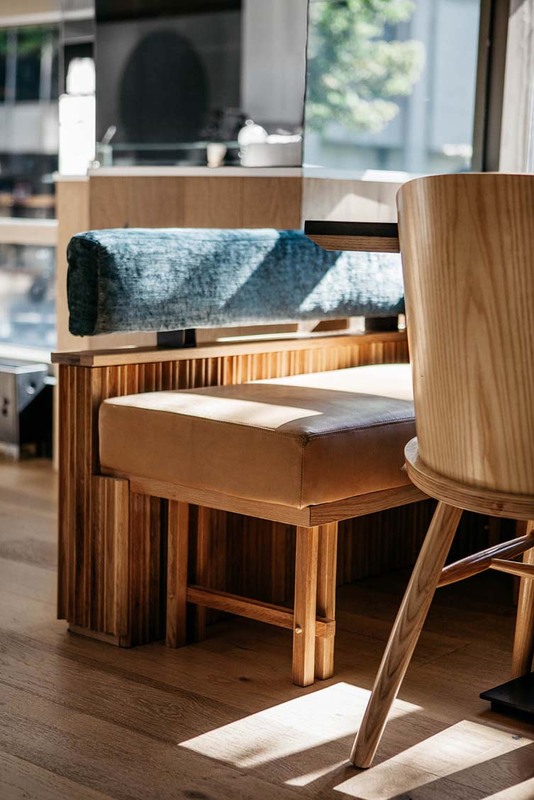 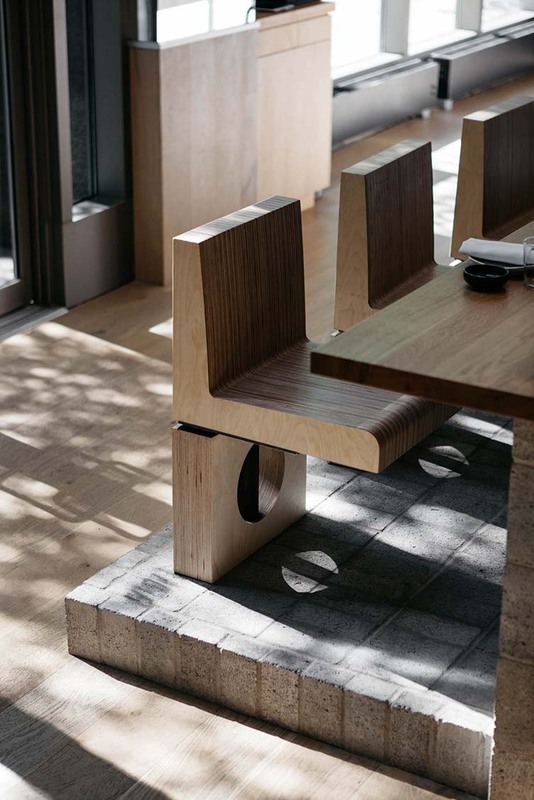 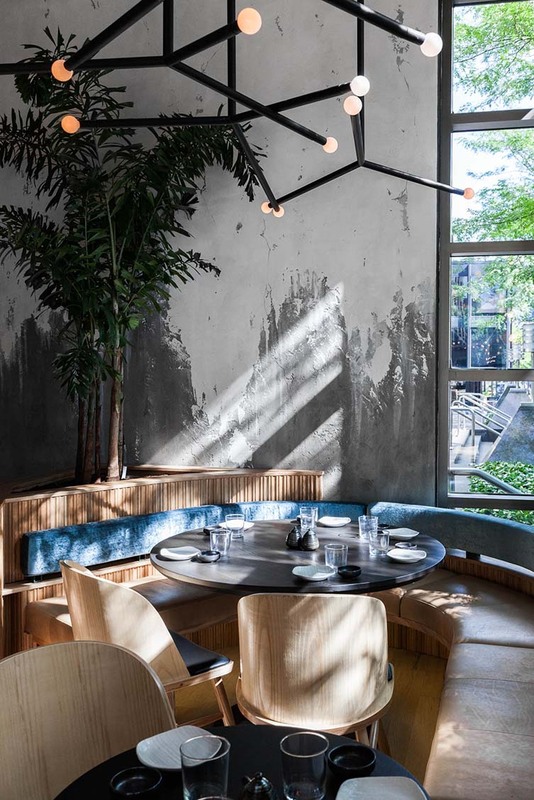 Fusing a contemporary design approach with a Japanese sensibility, MRDK (Ménard Dworkind architecture & design) have opted for natural materials that will patina with age throughout the Westmount outpost’s 1,500 sq ft restaurant. 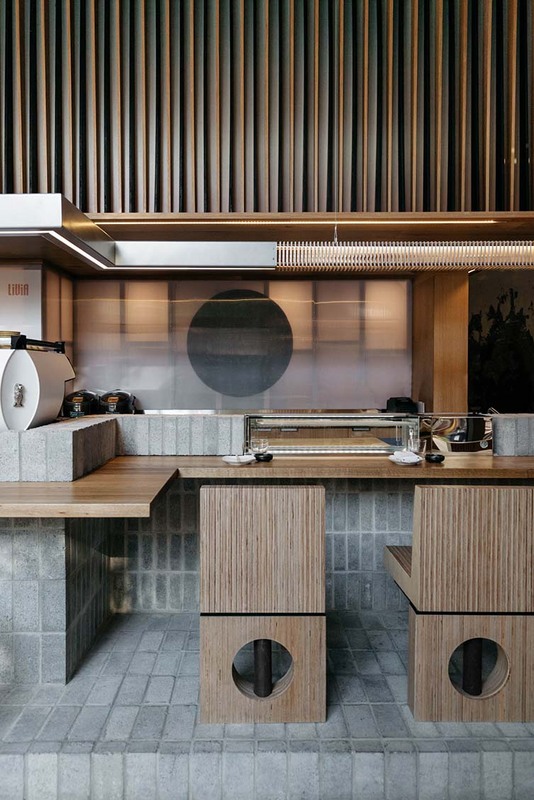 Light and dark wood was used to create an optical effect upon movement throughout the space—as was geometry, the recurring use of circles appearing in many of the custom designed elements. 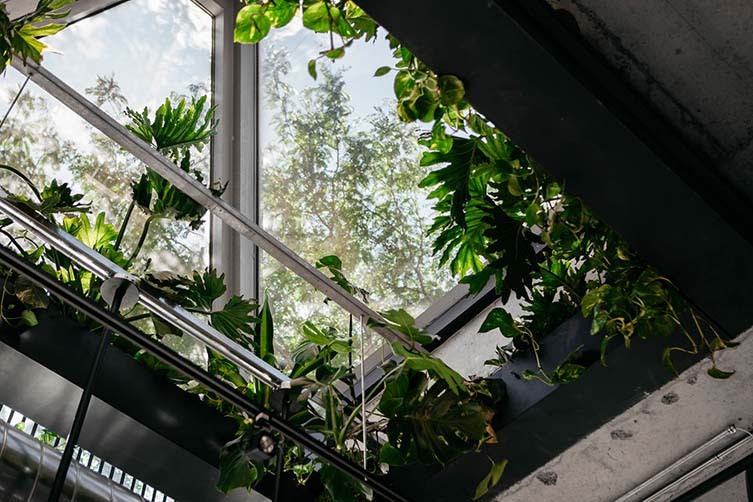 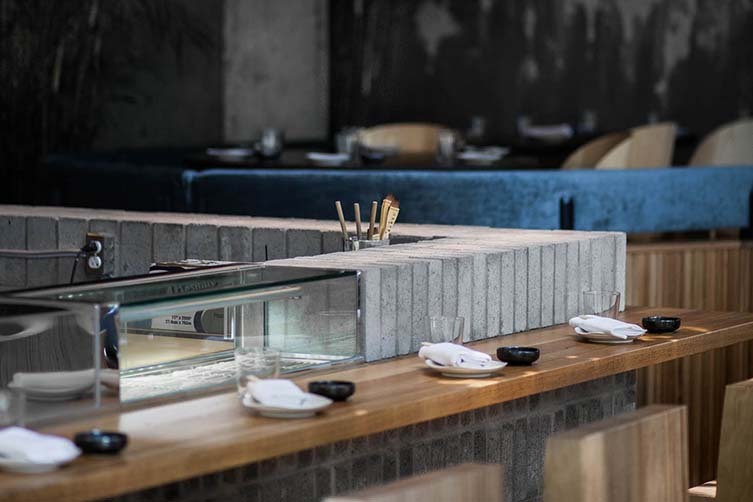 Toying with light and materiality, the sushi bar is made from concrete bricks separated from the kitchen by translucent polycarbonate panels that serve to create a lantern effect whilst on the walls and ceilings; whilst a living garden brings the lush outdoors into an otherwise industrial building. 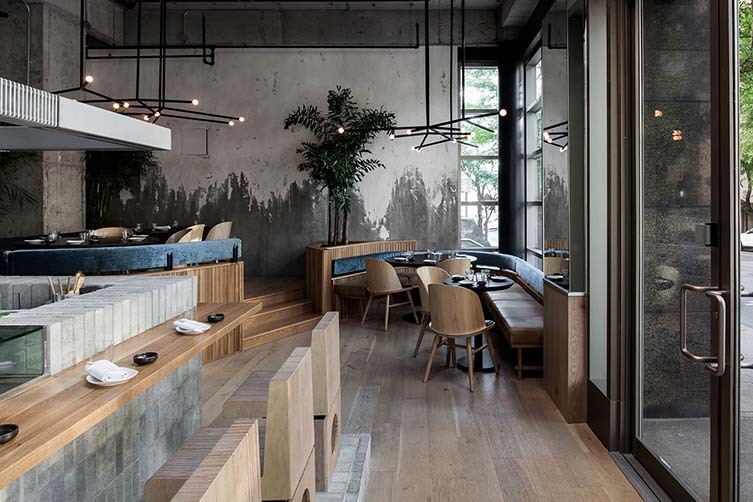 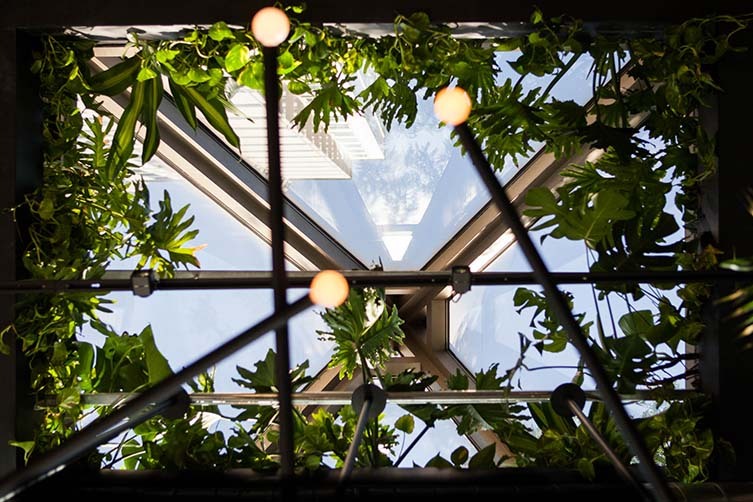 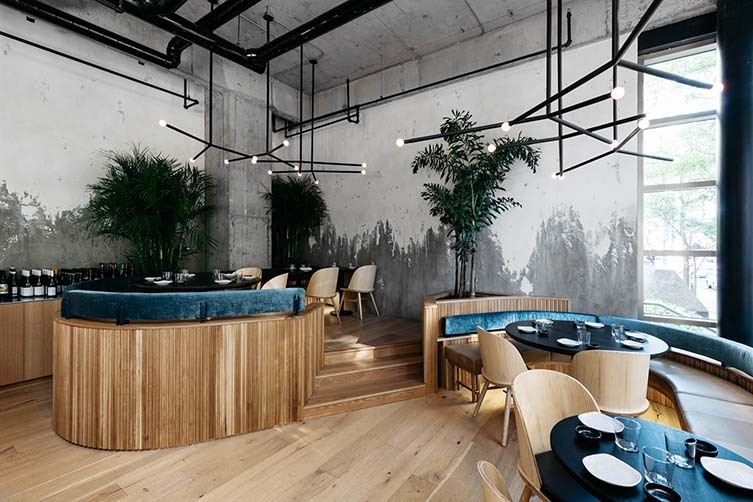 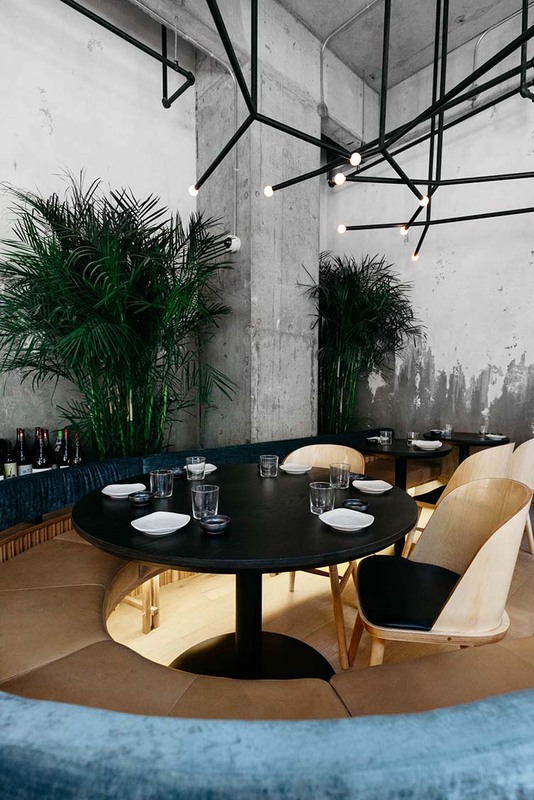 Fresh, simple, and demonstrating a masterclass in design capable of fostering an emotional response, Ryú Westmount is a new destination restaurant for Montreal’s design- and sushi-hungry revellers.